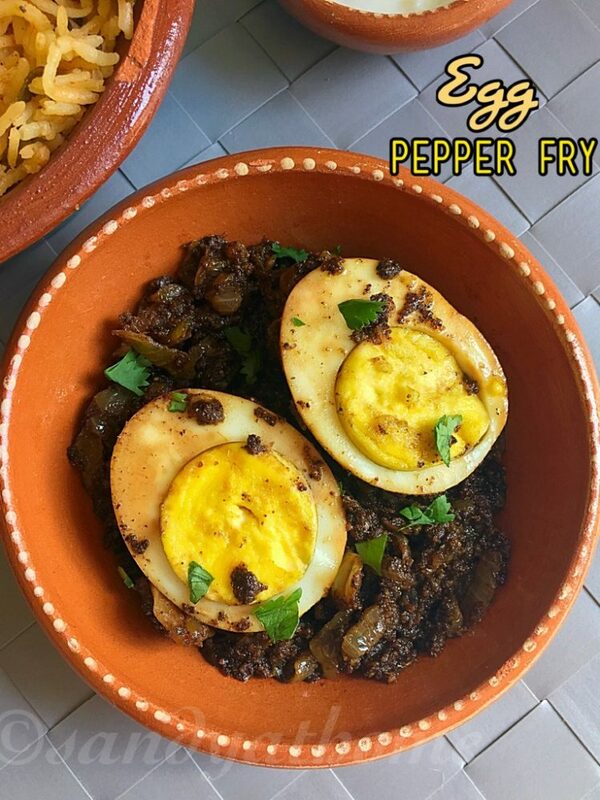 Egg pepper fry is a super spicy and masala flavored dish made by tossing boiled egg in spicy onion mixture. 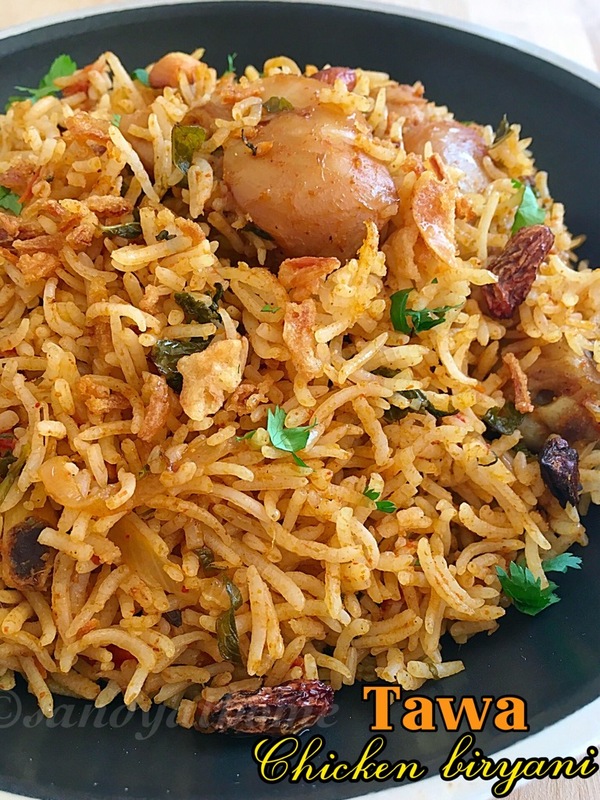 This fry recipe requires grinding of fresh powder which is the key behind its taste. 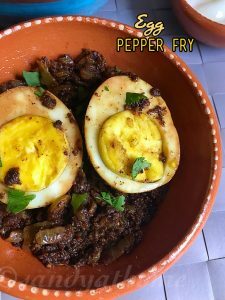 Egg pepper fry has only very few ingredients in its making, hence is very simple to make. 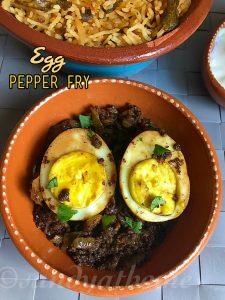 If you are a beginner and trying to make a simple and easy egg recipe as sunday special this could be your choice. 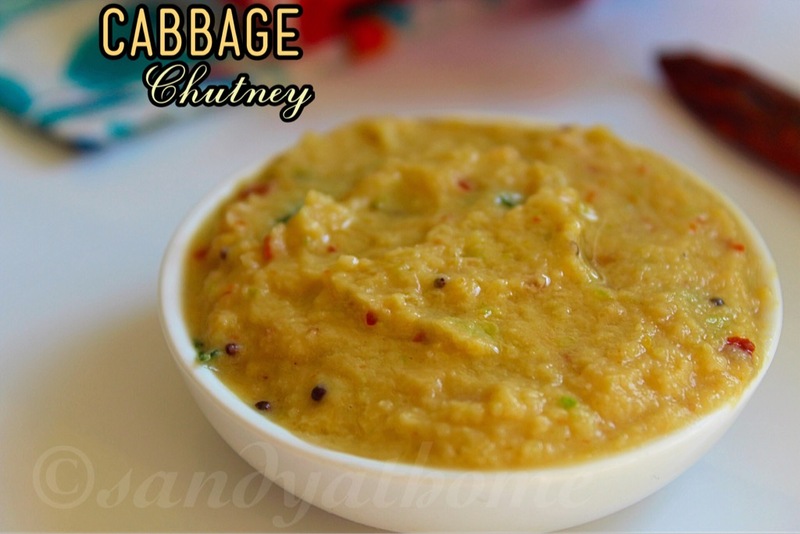 I usually prepare this with chicken biryani, particularly during rainy season as this turns into real treat for my family. So lets get to the making! In a pan/ pot boil eggs in water. When they are fully done strain the water, deshell them and cut each boiled egg into 2 pieces. In a pan dry roast coriander seeds, cumin seeds, peppercorn and fennel seeds until aromatic. We don’t want them brown. Allow it to cool down and grind it into fine powder in a blender. Now heat oil in a pan. Add chopped onion and curry leaves. Saute well and add ginger garlic paste. Saute well until the raw smell goes. Now add the ground powder and garam masala powder in it and saute well. Now add little water in it and mix well. 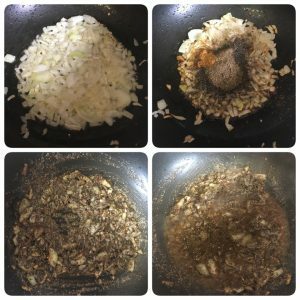 Cook until the water evaporates and masala looks dry. 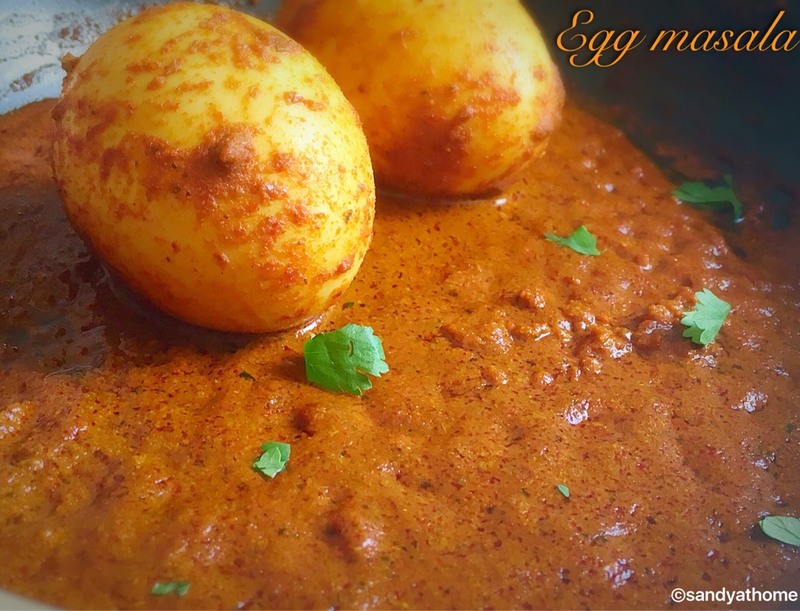 Now add the sliced egg in it and mix gently in a way the egg gets coated in the masala well. When done put off the flame, garnish it with chopped cilantro and serve.